Bingo Card Printer is an easy-to-use-software program for preparing and printing your own bingo cards (also known as "bingo boards" or "bingo sheets"). It's ideal for teachers and parents who want to create educational bingo cards, and can also be used to create fun entertainment cards for events such as baby showers and bridal showers, or seasonal events such as Christmas, Thanksgiving or Halloween celebrations. Infact you can create customized Printable Bingo Cards on absolutely any subject or topic that you like! Why Choose Our Bingo Card Maker Software? The program comes with some ready-to-use bingo games (including sight words, math, history, various holidays such as Christmas and Thanksgiving, telling the time, geography, history, science topics, and more). You can use any of the ready-to-use games as is, or you can modify them to suit your requirements, or you can create your own custom bingo games from scratch. Preparing bingo cards by hand can take hours. With our software, you can do the job in just minutes! It can generate a random printed call list for you (so you just read the items out one by one). It can also display items to call, one at a time, on screen, allowing you to step through them. Buying pre-printed bingo cards is far from cheap. We've seen sets costing several dollars or more. (click here to see some Preprinted Bingo Cards ). ...But with Bingo Card Printer you can print off your own cards, themed around whatever subject you like, and presented however you choose - all on your own printer. And you can do it whenever you want. And most importantly of all - you can print as many cards as you need (whether it's 1 or 1,000)! Bingo Card Printer can print 1, 2 or 4 bingo cards per page. Choose 2 or 4 if you want to save paper. If you do choose 2 or 4, the cards are spaced evenly around the page, so if you want to separate them, you can simply cut the paper into halves (or quarters), or even gullotine through a whole stack of print-outs in one go. We are so confident that you are going to love our software, that we want you to download and try out a Trial version of the software for FREE. 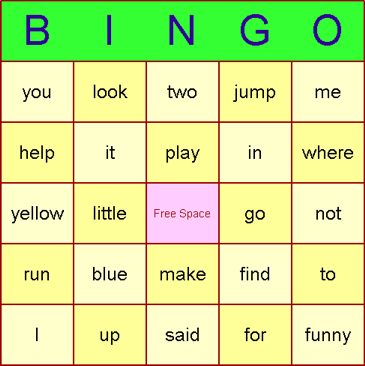 The Free Trial version, does have one limitation - bingo cards are over-printed with a watermark, but it allows you to try out the program, see how easy-to-use and powerful it is, and then decide if you want to keep it. And there are no time limits for how long you can use the Free Trial for. When you're convinced that Bingo Card Printer is the perfect program for you, you can purchase (register) the program for just $26.95* (Sales Tax or VAT may apply - see note below).